Will you be playing Apex Legends on a laptop? Then make sure that the battery mode is set on “High Performance”. Furthermore, check that all your drivers are up-to-date, especially your GPU drivers as NVIDIA and AMD usually release new drivers ahead of game releases that will optimize your system greatly. Display Mode – Set this to Full Screen. Aspect Ratio – We’d recommend setting this to your native monitor resolution. It’s likely to be 16:9, 1080p. Resolution – Again, set this to your native monitor resolution. Field of View – This is personal preference. If you want to see more in general then set this to max, but if you want things a little closer, then tone it down somewhat. See what works best for you by tweaking it in-game. Color Blind Mode – Personal preference. V-Sync – Disable this to uncap your framerate. Adaptive Resolution FPS Target – Set this to 0. Adaptive Supersampling – This will be greyed out. Anti-Aliasing – Switch this off for maximum FPS. Keep it on for a slightly sharper looking experience which won’t tank your FPS. 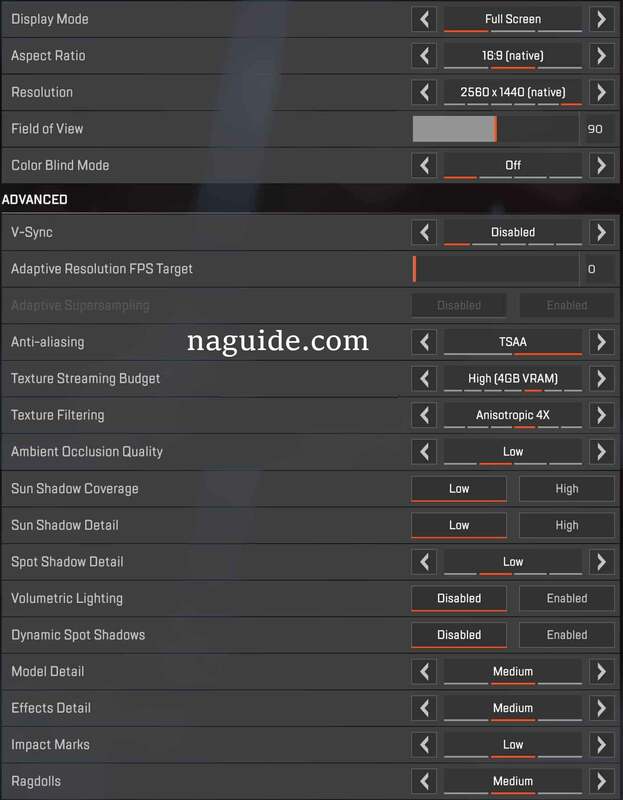 Texture Streaming Budget – This is effectively “Texture Resolution” and this depends on the power of your graphics card and the VRAM it comes equipped with. For pure FPS, we’d recommend switching this to a lower setting and not going any higher than Medium. Texture Filtering – This affects the sharpness of texture details which can hit FPS quite hard if you crank this up. We’d recommend keeping this at “Anisotropic 2X”. Ambient Occlusion Quality – Affects the quality of shadows and the like. This can heavily affect performance so set this to low. For powerful rigs, you can pop this on medium. Sun Shadow Coverage – Set this to low. Sun Shadow Detail – Set this to low. Spot Shadow Detail – Set this to low. Volumetric Lighting – Disable this as it can tank performance. Dynamic Spot Shadows – You get the gist, disable this. Model Detail – Set this to low or medium as it determines detail for objects and characters in the game world. Effects Detail – Determines the detail of explosions, ability effects and the like. Set this to low or medium too. Impact Marks – This controls how many bullet impact marks you’ll see in the game world. Set this to low or medium. Ragdolls – Affects the “flail” of a dead body. Set this to low or medium. Apex Legends – Free Skins How to Get?